Our team members are experienced and trained in the most up to-date painting and finishing techniques. Many of our employees have been a part of the Statewide Painting family for over twenty years. Our company works as a cohesive team under the leadership of our management and field personnel, ensuring the client’s utmost satisfaction. Client satisfaction is not just a top priority at Statewide Painting Contractors, Inc., we strive to build long-lasting relationships with clients based on mutual respect and trade courtesy. Our pricing is competitive and we are sensitive to client budgets and schedules. We have the capacity to accommodate projects of all scale—from large commercial construction projects to detailed, high-décor finishes. Statewide Painting Contractors, Inc.’s reputation for exceptional work is a result of our company’s unwavering commitment to quality. 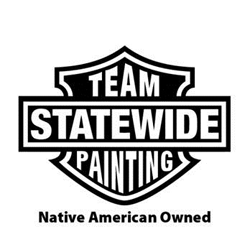 Statewide Painting still operates under the same core principals from which the company was founded three decades ago: integrity, hard work, safety, and quality; from the owners, management team, and employees, these values are integrated into all facets of company operation. We look forward to continuing our company tradition of excellence in the years to come.